These women created successful technology businesses from scratch, all while managing the demands of children and family. Soak up some time-management and work/life balance tips from their hard-earned experience. Happy Mother's Day, Tech Moms! To help celebrate Mother’s Day, we asked some successful and hard-charging entrepreneurs, who also happen to be moms, to share their insights into managing the many rigors of creating a startup company, all while juggling the daily challenges of parenting. They share how their work lives and home lives sometimes have balance – and sometimes not – and why a strong support network is sacred, and perfection is overrated. 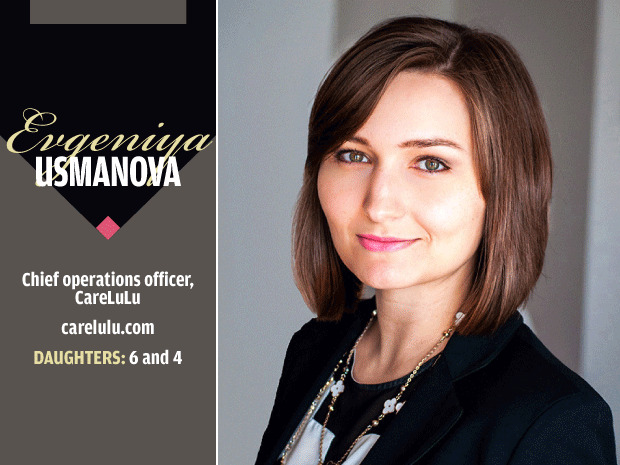 Lessons from parenting: "Business ideas often stem from problems we encounter, so had it not been for my struggle to find childcare, I would have never been inspired to come up with a solution," says Usmanova, CareLuLu's chief operations officer. "CareLuLu is designed to help parents of young children find daycare, and all the business decisions we make have our customers in mind. Additionally, most of the team members are parents, so flexibility definitely comes into play in how I manage the team – telecommuting and even having children in the office for days when school is out is encouraged." Tales from the trenches: "For better or worse, I have no clear division between home and work. But the great part of running a parent-focused company is that every event with my own children is also a business opportunity. We once went to an open house of a new daycare where the kids had so much fun that we enrolled them both and spoke with the director, who has been a CareLuLu client ever since." Best tool for making it all work: "Moral support is perhaps the most important ingredient to keeping it all together – my small but sturdy support network helps me make it all work. 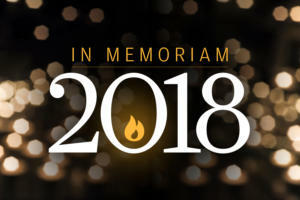 If it weren’t for my spouse, who is also my business partner, or for my mother, who helps when my husband is not around, all of it would not have been possible." Advice: "Just like it takes a village to raise a child, so does building a company. Invest time in building a strong support network before you launch your business, because it will help to have someone by your side to get through the bad as well as to enjoy and share the good. Starting a business is in many ways like having another baby (and both will leave you sleep deprived)." 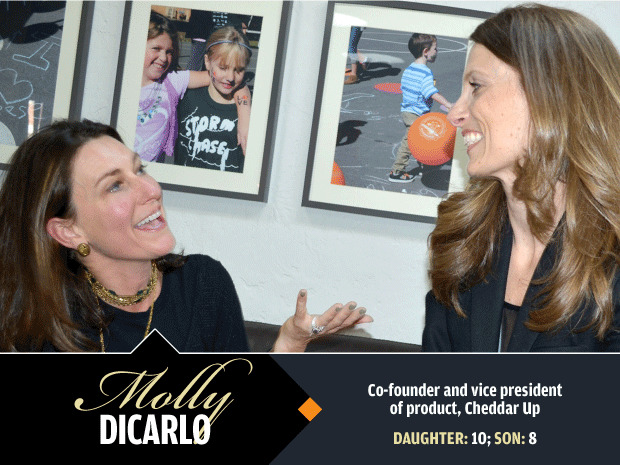 Lessons from parenting: "Being mothers gives us a huge advantage in understanding and empathizing with our target audience," says DiCarlo, the co-founder and vice president of product at Cheddar Up. "We have an instinctual talent for taking our product into successful areas that the young men who dominate the tech field have never considered." Tales from the trenches: "What did we all do without the mute button? Doorbells and sibling injustices are guaranteed the minute I get on a work call at home. It is a juggling act, but now that my kids are in elementary school, it is doable – and quite honestly, I think my kids benefit from seeing me work. They see me frazzled but they also see me problem solve and celebrate a finished task." Best tool for making it all work: "If I had to choose one, it would be my school’s after-school program and teachers." Advice: "Balance is prioritizing when to stop obsessing, which is totally liberating. Parenthood makes me work faster and smarter. I use to spend hours laboring over minute details and in most cases doing more harm than good." Lessons from parenting: "Our experiences as mothers are what fueled the creation of Cheddar Up," says Montoya, the co-founder and CEO of Cheddar Up. "Having young children in elementary school and activities made us quickly realize that parent payments – specifically group payments – was largely overlooked. So we set out to create a user-friendly tool that solved this problem for both the payer and collector." Tales from the trenches: "A recent example involved me taking a VC video call from my home office while my sick 9-year-old was peering into my glass office door with some urgent issue – I kept trying to shoo her away with my eyeballs while not looking like a maniac on video to the investor." Best tool for making it all work: "For me, it’s hands down having a supportive partner. He helps with the house, the children and my sanity." Advice: "Keep the bar low. Make no bones about it, it’s difficult to have children and start and run a company. Enjoy the small things and be as present as possible when you’re able to make it to kid activities. And know that by starting and running your own company, you are teaching your children great things." 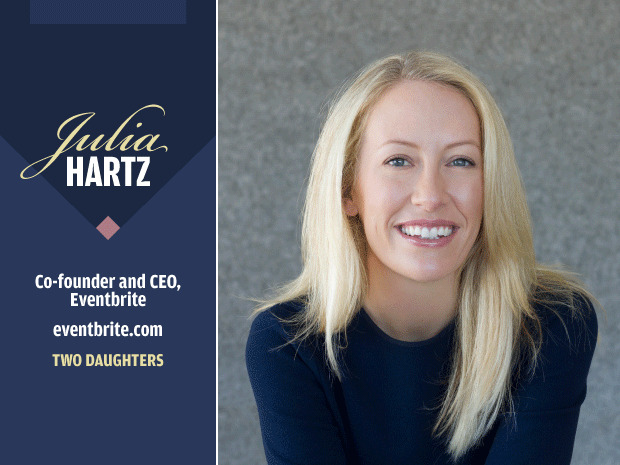 Lessons from parenting: "I founded Eventbrite with my husband, so work and family are intrinsically linked for us," says Hartz, the co-founder and CEO at Eventbrite. "I attribute much of our company’s success to date to the amazing culture that we’ve built, which stems from our values, not only as leaders, but as parents. I believe that being a mother and also a leader at Eventbrite has helped me embrace my ability to lead with empathy. In a recent LinkedIn post, I call empathy my superpower, and I say that with sincerity and pride." Tales from the trenches: "My husband’s and my lives are extremely binary at the moment: Our passion is in Eventbrite and our love is in our family. Structure allows us to be focused on our day-to-day and know and have the assuredness that we have time for family. Time spent outside of the office or with family is sacred, so we try our best to bring many things that happen outside of the office, into the office." Best tool for making it all work: "We’ve built a village of supporters around Eventbrite that has truly defined who we are and helped us get to where we want to be. My husband plays a big role in this, as well. He is a huge part of my standing upright as we both balance our work and family lives. He inspires and empowers me every day to be the strongest leader and mother I can be." Advice: "It’s OK to accept help, or even ask for it. Balance is something that requires constant attention and dedication. Prioritization is one of the most important time management tactics – I decide what is most important to me in both family life and work life, then I prioritize around those aspects." 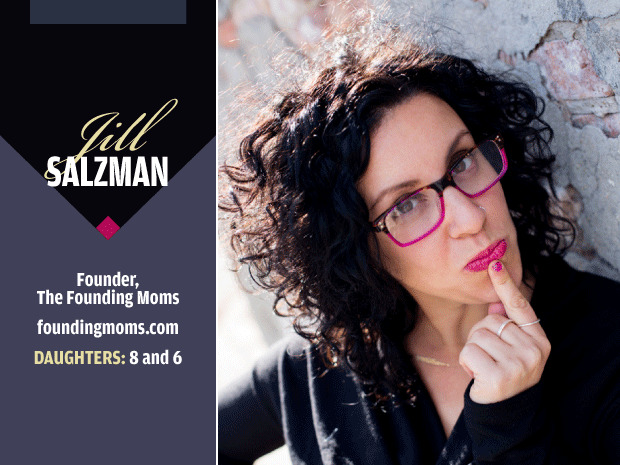 Lessons from parenting: "Being a mother influences business decisions for any woman business owner – it inspired me to create The Founding Moms," says Salzman, the company's founder. "I was yearning to find out how other moms were running their businesses, and the first meet-up drew so many mom entrepreneurs from our community that I continued to open meet-ups around the world. We all have the same questions! We want to understand how to manage our time between work and family. We are stronger at focusing on the important facets of our businesses because, with children, everything is time-sensitive." Tales from the trenches: "One time, my then-2-year old seemingly waited until the most critical moment of my phone call with a childless male decision-maker to start screaming at the top of her lungs. Several years into working around my kids I decided to stop the hassle. I strapped my second daughter to my belly and just started appearing at meetings with her. I’ve never regretted that decision for a moment, and if I could go back and do that from the very start, I would." Best tool for making it all work: "It’s a beautiful dance between apps, like Evernote or Slack, understanding colleagues I work with, and more importantly, my children. As long as we’re all on the same page – me, my apps, my kids – it works out." Advice: "Don’t go for that balance. It’s elusive, and I’m not sure it even exists. Know that some days are going to be work-heavy, and some days kid-heavy. And that’s OK. You don’t need to be working every waking minute, and there are only so many hours that your kids are awake. Focus on each when you can and you will find a great rhythm. Stop beating yourself up about the juggle – that’s for the circus." 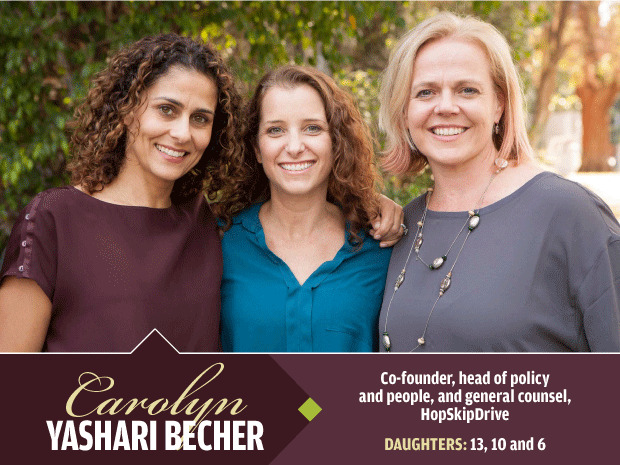 Lessons from parenting: "Being a mother has taught me more about empathy and different personality types more than anything else," says Yashari Becher, the co-founder, head of policy and people, and general counsel at HopSkipDrive. "A team is like a very large family – everyone comes with their own quirks and characteristics, and the trick is getting everyone to move together toward a common goal, whether it be leaving for the airport on time as a family, or meeting a quarterly goal as a company." Tales from the trenches: "I do my best not to mix work and family time, but sometimes you have no choice. When my oldest daughter was sick as a baby my mother had to take her to the pediatrician, and I had to call from work and be put on speaker phone with the doctor. I felt terrible, but I promise you that my now-teen has no memory of that." Best tool for making it all work: "Everything doesn’t always work, and being able to admit that is critical to not being too hard on yourself. But my best tool is my phone. It is the way I surreptitiously reply to my co-founders’ texts on my way to tuck someone in, and how my daughters text me while I’m in meetings. It is how I connect to my world." Advice: "It is not always possible to balance starting a business and family life. Just as my husband spent years traveling for work and spending late nights at the office as he built his career without much balance, starting a business will mean that women will sometimes have to prioritize their new business over family life. As long as there is a supportive partner or extended family member immersed in family life and available to hold down the fort, it will all work out." 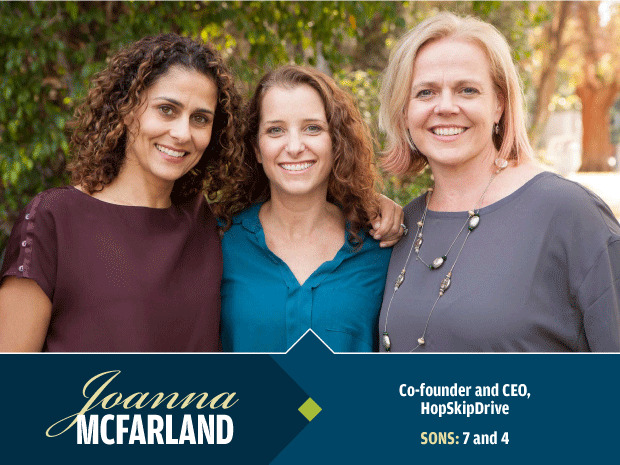 Lessons from parenting: "My co-founders and I launched HopSkipDrive after experiencing the everyday battle of getting our own kids where they needed to go safely and reliably," says McFarland, HopSkipDrive co-founder and CEO. "I have two sons who go to school, karate, T-ball and Cub Scouts, and as someone who was working full days at a tech company, and with my husband working full-time, we were constantly struggling to figure out who would be the one to leave work in the middle of the day to drive them. "I think it says a lot that HopSkipDrive’s founders are all parents because our customers know that in everything we do, children are the main priority. We wouldn’t put your kids in a car if it weren’t safe enough for our own kids. We’re solving our own problem, and we truly understand the market." Tales from the trenches: "When we were first pitching HopSkipDrive to investors, I had to leave in the middle of an investor meeting to go to the ER because my youngest child had stuck a bead up his nose at preschool and couldn’t get it out." Best tool for making it all work: "My amazing husband! He and I constantly communicate to manage the kids’ schedules, homework, school lunches, the house and everything else. Also, I make a dinner menu for the week on Sundays, and go shopping so we have meals set and it’s easy to know what’s for dinner every night." Advice: "When you hit an obstacle, you need to get creative and figure out a way around it. No one else is going to do it for you." Lessons from parenting: "HopSkipDrive was born out of our own need as parents," says McGlothlin, the company's co-founder and CMO. "Getting our kids to all their activities became a crazy logistical puzzle. Even with help in the afternoon, someone was leaving work early to get a child where they needed to go. We couldn’t find a better solution, so we created one. "My son was actually our first rider at HopSkipDrive. People always talk about eating the dog food, but it doesn’t get much more visceral than involving your own children. I experienced firsthand the anxiety a parent using our service can feel the first time they take a ride. All of our safety measures, our decision to fingerprint every driver, the ability to track along in the app all came from what we, as parents, needed to feel comfortable." Tales from the trenches: "When I was pregnant with my eldest, my water broke and I went into labor while I was on a conference call. It wasn’t pretty, but I finished the meeting, sent some emails letting people know that I’d be out of pocket for a bit and called my husband to let him know that our little guy was on the way." Best tool for making it all work: "My husband is an amazing partner," says McGlothlin. "He’s in charge of weekday mornings at our house – making breakfast, packing lunches (even mine! 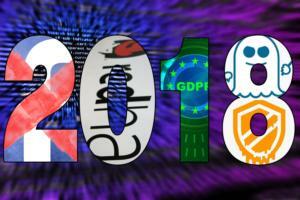 ), ensuring everyone is ready to roll. We’ve found a great rhythm sharing the responsibilities and I’m grateful every day." My other great tool is the Six O'Clock Scramble. I love to cook, but don't like figuring out what to cook. Having this recipe service has made making dinner enjoyable again and we aren't having pasta every night anymore. Advice: "You can do it all, just not all at the same time. Know your limits and surround yourself with a support network that can help you with both the day-to-day responsibilities and the emotional side. Starting a business is hard. You will need help. Learn to be gracious and appreciative, and cut yourself some slack when you can’t do everything." 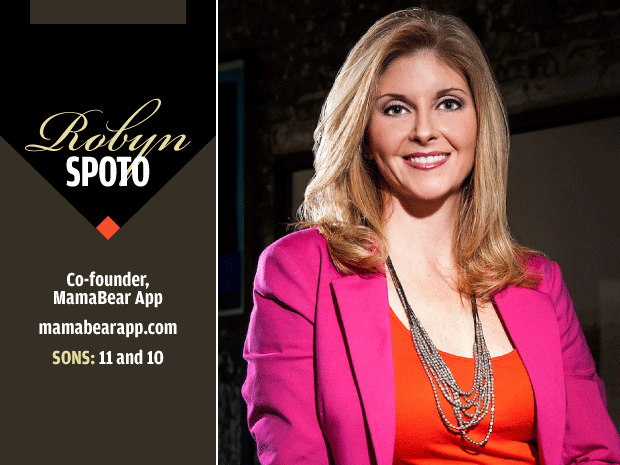 Lessons from parenting: "I find that being a parent flexes my leadership muscles," says Spoto, co-founder of MamaBear. "Many of the types of conversations I have at home, I have at the office, just on a grown-up level. I note similar behavior patterns and look for ways to empathize constantly. Motherhood has truly taken my self-awareness to a new level with the impact I emotionally have on others. "Additionally, my boys inspire me every day! I continually observe their dialogue with friends, their interests and use of social media. Their digital habits feed new ideas on ways to protect them and other children with MamaBear." Tales from the trenches: "More than one client has heard the ping of a baseball hitting a bat while on a call. My kids also realize that when I have the phone to my ear or earbuds in, I’m likely on a business call and will respect my needed time to finish up. However, there’s been more than one occasion I’ve had to quickly put a call on mute to diffuse a sibling argument." Best tool for making it all work: "Living the set of family values we’ve established at home and role modeling the set of business values we’ve created at work. Open-minded conversation is also key, something that can be really hard sometimes. It’s an ongoing exercise in growth for all of us. I also have an amazing husband and two incredible boys surrounded by a pretty awesome community, including colleagues who are relentless problem solvers." Advice: "Don’t have a work self and a family self. Have a whole self and be yourself in both places. We all wear different hats and sometimes feel like we have to be the mom at home and the leader at work. Be the CEO of your life and be your authentic, complete self all of the time." 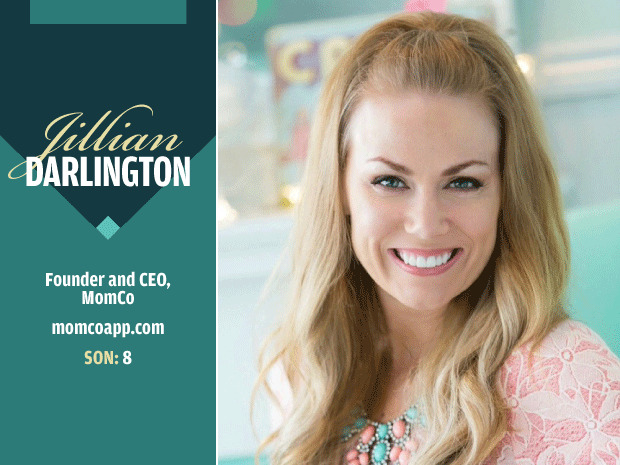 Lessons from parenting: "The MomCo app was truly inspired by my own life experiences," says Darlington, the company's founder and CEO. "As a young mom, I worked tirelessly going to playdates and classes with my son just hoping to click with another cool mom to be friends with. After I got divorced, I downloaded the Tinder app. It made me think, ‘Why doesn’t something like this exist for moms to locate other moms that live close to them?’ This is how the concept for the MomCo app, a geolocation-based social-networking app and community-building tool exclusively for moms, was formed." Tales from the trenches: "I am the CEO of MomCo, but I am also a single mom with full custody of my son. It is not uncommon for me to be on a call at football practice or answering emails while he is playing with a friend. Because I have a business that focuses on moms and children, I go to a lot of events where kids are welcome. This allows my son to come to work with me a lot. He loves our MomCo playdates." Best tool for making it all work: "I have a few things that help make this crazy life of mine work – and it all comes down to people. First, I am surrounded by a team of people that have as much passion in my business as I do. We all work nonstop because we know that what we are doing is making a difference. "Second, I have good friends who will help take care of my son. It’s truly a village and I feel so fortunate. I couldn't do this without them. Last, and most important, is my son. I want him to know that hard work pays off and you never quit." Advice: "You may need to make changes along the way, but don’t quit. Although I am extremely busy, I am able to arrange my own schedule and it is very important to me that I am able to be there for things that are important to me and my son." Lessons from parenting: "My children were adults when I started Mom’s Startup Services, but I was a single mom while my children were growing up – the struggle to raise a family and adhere to a company’s hours and demands motivated me to start a business where I could set my own hours and control my destiny," says Malkenhorst, founder of Mom's Startup Services. 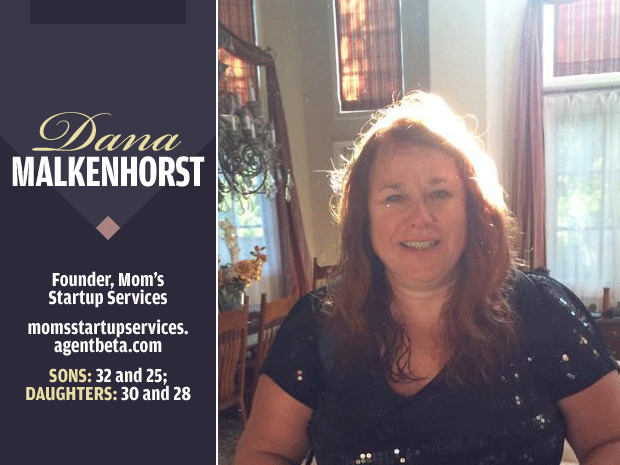 "Additionally, my son Andrew is an entrepreneur and he inspired me to start Mom's Startup Services. He owns a development company called Agent Beta – I started interning with the company, and picked up on some of the technical and marketing skills fairly quickly. Immediately my son saw, and pushed me to start my company." Tales from the trenches: "When my kids were younger I worked about half an hour away from home. My children were spread between three separate schools and had no way home besides me picking them up. I would take a late lunch and pick up my middle-schooler, then pick up his sister at one high school before picking up my final two kids at another high school. Somewhere in between pick-ups, I would run through Taco Bell and grab food. After dropping everyone at home I would race back to work -- usually a half-hour late and having had no lunch myself. Then I would work an extra half-hour to make up the time, and when I got home I would start running kids to practice, doing homework and making dinner." Best tool for making it all work: "The one I turn to every morning and throughout the day is my bullet journal. Bullet journaling allows me to see at a glance what my entire month looks like, what tasks I need to accomplish, color coded according to certain events and priorities." Advice: Parenting taught me how to be a bottom line thinker. It’s easy to get wrapped up into the minutiae and drama. Step back and focus on the actions of individuals versus the words. Organization and a sense of humor are my second and third most effective tools." Lessons from parenting: "As a new mother and former manager at The Huffington Post, The Washington Post and NowThisNews, I felt frustrated by the idea that my only option was to stay at home with the baby or spend 10 hours a day in the office," says Zaleski, co-founder and president at PowerToFly. "Together with Milena Berry, we decided to build a third option – flexible, remote jobs with the world’s smartest, most forward-thinking employers." Tales from the trenches: "I often host meetings over Skype with my team from around the world while in the next room there will be three or four toddlers playing with their nannies. Sometimes my daughter will try to join our conference calls. Thank goodness for our nanny, who helps to keep everything under control so I can work and see my daughter at certain times during my hectic day." Best tools for making it all work: "I would be nowhere without the support of my husband, my mother, my nanny and my daughter who sometimes sacrifices bedtime with me when I have to go to an evening event. They’re my backbone." Advice: "Save money early in your career for excellent childcare. You need to feel confident that your children will be in good hands when you are at work on your new business." Lessons from parenting: "As the CTO at Avaaz, I was managing a huge staff of developers around the world while working remotely and caring for my young family," says Berry, PowerToFly's co-founder and CEO. 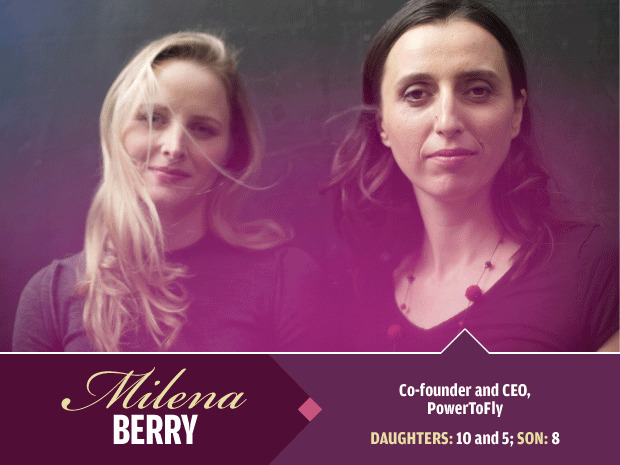 "The experience inspired me to co-found PowerToFly with the goal of helping millions of women find the same work/life balance. Our vision is to give women across the globe access to jobs at companies normally out of their reach by allowing them to work from wherever makes the most sense for their lives." Tales from the trenches: "While at Avaaz, I'd be breastfeeding while solving a server crisis. I would hold the baby and code. It was the way I worked, and it was accepted there because the whole team was remote. I kept meeting with mothers who were jealous of this way of working, so I knew there was something there. That’s how I came up with the idea for PowerToFly." Best tools for making it all work: "Technology makes it possible. We are creating the cloud-based workplace of the future where women can work from where they are most productive instead of an expensive office space. I rely heavily on tools like Slack, Google Docs, Confluence and Skype to manage my team remotely." Advice: "Don’t delay having kids until you’re ready. You’re never ready. Life is an evolving journey and you can make anything work." Lessons from parenting: "I was a single mom when I started my business, so it has greatly shaped the way I think about being a CEO and running a business. 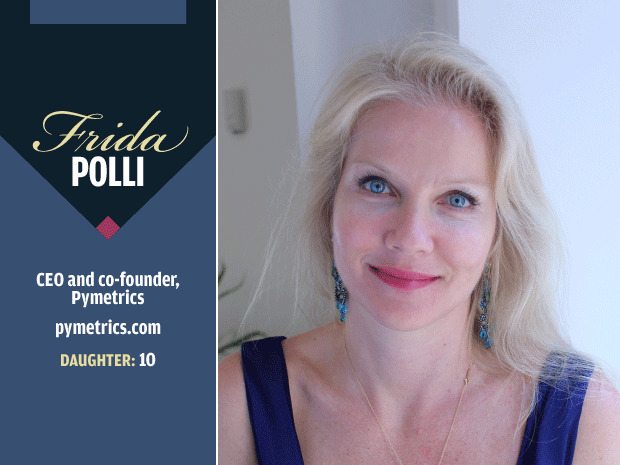 First, I think that having flexibility myself as a mom is critical to being able to take care of my child and so we allow a lot of flexibility at Pymetrics to the entire team," said Polli, the company's CEO and co-founder. "That means allowing people to juggle their schedule around whatever demands they have and not requiring a lot of face time. Second, I think having a child makes me value efficiency over long hours. I try to promote a work environment that is results-oriented rather than long-hours oriented. "My company is in the career/recruiting space. Its mission is to democratize and diversify hiring through data. Part of that includes using data to remove the gender and ethnic biases that are still widespread in hiring and promotion in the U.S. This was definitely inspired by my own career and by being a mom to a daughter. I want my daughter’s career path to be more equitable than it is for a lot of women today." Tales from the trenches: "My daughter has been to investor meetings with me, she has come to client meetings and I’ve taken important calls from the soccer sidelines. I generally have the attitude that I have a child, and taking care of her comes first, and if I need to bring her somewhere or do something for her while I’m juggling work, people will understand so long as my work doesn’t suffer." Best tools for making it all work: Both my ex-husband and my current husband are very supportive of my career and they both help out in different ways. They are truly proud of my accomplishments and see me as a great role model for my daughter. My colleagues are also all very supportive. Many of them are younger women who hope to balance a career and family, and I think it makes them feel reassured to see someone doing it, warts and all. Advice: "You can handle a lot more than you think you can. Don’t let your fear that you won’t succeed or that you can’t handle it get in the way of trying it. Also, let go of perfectionism. Get the very important stuff right, and don’t focus on the small stuff. "Finally, don’t buy into the idea that you are hurting your kids by working. If you personally want to cut back to enjoy motherhood, then by all means go for it. But don’t do it because you have been guilted into thinking that this is better for your kids." 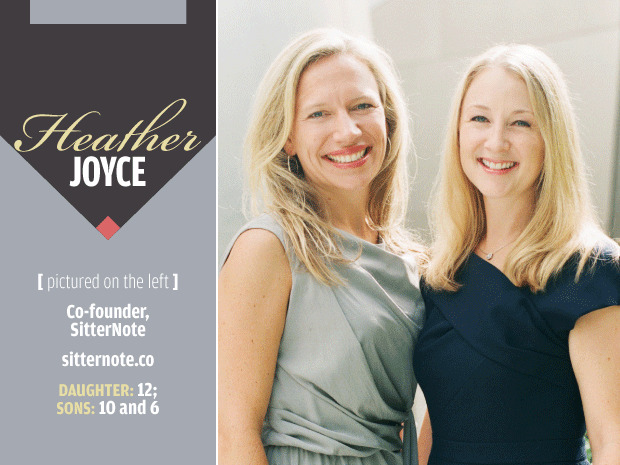 Lessons from parenting: "Motherhood 100% inspired our business idea," says Joyce, SitterNote's co-founder. 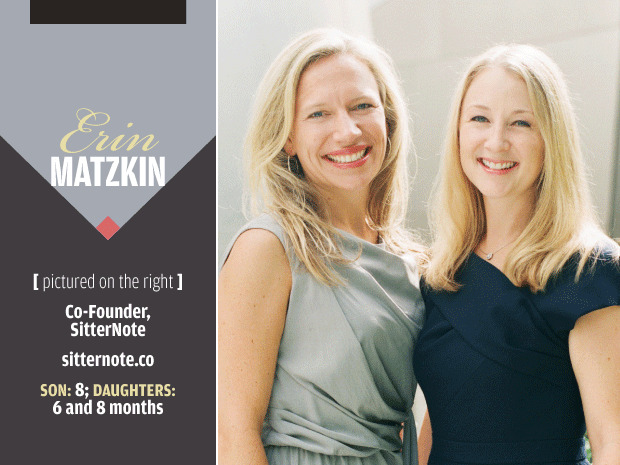 "We’re both working moms, and we built SitterNote to solve two of our key everyday problems: staying organized and communicating effectively with our children’s caregivers. With SitterNote, we can ensure that anyone watching the kids has all the information they need – everything from after-school activity scheduling to our family emergency contacts." Tales from the trenches: "Just a few weeks ago, my youngest son was turning six on the same day that I had several important projects to deliver on at work. As the day approached, I realized I wasn’t going to pull it all off, so I leaned on my mom network for help – my nanny came over early and baked the first (of two) layers for his cake while I was at work, my older son agreed to be the special guest at lunch, and a friend picked him up for a few hours after school for a birthday playdate. That night, I baked and decorated the rest of the cake with him, and he told me later that it was his best birthday ever." Best tools for making it all work: "Amazon.com. Also, if you work for someone else, do not take that job unless you have figured out if s/he will understand your work/life needs. It is better to have a candid conversation in advance – and risk losing the opportunity -- than to get into the wrong job and struggle against the wrong situation." Advice: "Be realistic about your childcare needs, get it in place before you really need it, and reassess periodically because what you need will change." Tales from the trenches: "Last month, I got a call from daycare informing me that my infant was completely out of formula. On most days, I would just go drop some off, but at that particular moment, I happened to be the presenter in a big meeting located over an hour away," says Matzkin, co-founder of SitterNote. 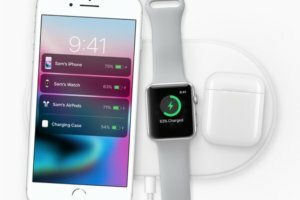 "I spent about one full minute panicking, then realized I had a magical conjuring device in my purse: My iPhone. It took me about two minutes to discover that Postmates could deliver the formula from their ‘General Store.’ Two clicks later it was ordered, and about 20 minutes after that, my baby’s daycare teacher texted me that she had it." Best tool for making it all work: "A deep network of caregivers and friends. And my iPhone," says Matzkin. "Currently I use daycare for my baby and a part-time nanny for my big kids after school, plus my parents help out, and I have friends I can call if I’m ever really in a jam. 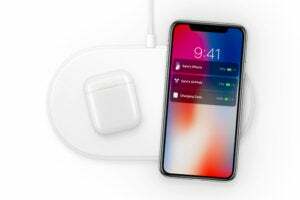 The only way to keep those moving parts organized is with my phone, using SitterNote and the occasional panicked text message." 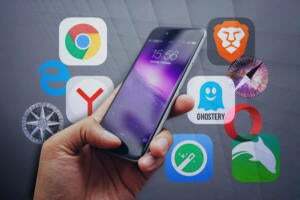 Advice: "Put your phone away and turn off your computer for at least one hour a day, and really focus on your kids. My kids know and trust that they will have my full, undivided attention for a period of time every evening." 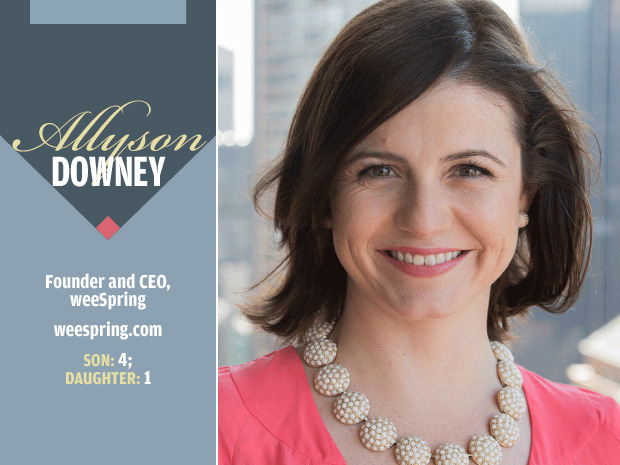 Lessons from parenting: "I'm a marketer by background, and when I had my first child, I saw a gaping hole in the marketplace for trusted advice on all the purchases you need to make when you have a new baby," says Downey, founder and CEO of weeSpring. "I tell the story of walking into Babies 'r Us for the first time, looking at a 10-foot wall of baby bottles and bursting into tears. I looked up and saw a metaphor for how unprepared I was to be a parent – but I also saw an opportunity to reduce that stress and burden for other parents by creating a digital tool that would allow them to tap into their friends' expertise. "My book, Here's the Plan: Your Practical, Tactical Guide to Advancing your Career during Pregnancy and Parenthood, is brass tack advice for women who want to keep their careers on track while starting families – and having researched and written it, I feel like I'm even more attuned to how family and entrepreneurship intersect." Tales from the trenches: "I had a call scheduled for 9 a.m. but mixed up our babysitting schedule and forgot our sitter wasn't starting until 10 a.m. When I dialed in to the conference call, I learned that the founder of Diapers.com would be joining the meeting as well – so my low-stakes, no-big-deal-9 a.m. suddenly turned into an opportunity to showcase my business. Over the course of that call, I must have fed my daughter four pouches of applesauce and a pint of strawberries, because if she was eating, she was quiet." Best tool for making it all work: "It's my village, comprised of my husband, our au pair, our families and our friends who also have kids. I've marveled at how eager and willing people are to pitch in and help out. At times when I've been stretched thin, I've had friends suggest that they pick up my son and hang out with him for the afternoon to give me some breathing space." Advice: "Invest in your network. Be generous with the people around you, and be proactive about doing things to help them. When I, for instance, introduce two people to each other, I don't think about it as filling up the favor jar that I'll one day be able to cash in – yet it still always pays off. Finally, have backup for your backup for your backup childcare – you never know when you'll need it."